Let’s face it, the original Super Mario Bros. is one of those games engrained in the minds of all gamers everywhere. Whether you were around to marvel at the original NES version back in the eighties or simply sampled the experience through one of its many later ports over the years, chances are you’ve stomped your fair share of Goombas and Hammer Bros and thrown plenty of fireballs too. There is, however, one more version of the game perhaps lesser known to the gaming world – Arcade Archives VS. Super Mario Bros., an arcade, two-player competitive adaption of the NES classic. Even after countless ports though, is this newest release worth a look? On first appearance, Arcade Archives VS. Super Mario Bros. may look like just another exact copy of the original – you’re still traversing across eight worlds in an attempt to rescue Princess Peach and defeat the evil Bowser whilst grabbing mushrooms, flowers, stars and coins. The same can be said for the game’s visuals and music – that all too familiar underground beat kicking in as you enter a pipe or the clouds that strike an exact resemblance to the bushes you run by. Nostalgia certainly starts to kick in. However, delve a little deeper and you’ll uncover a number of subtle and curious twists on this warm trip down memory lane. For one the game is no pushover when it comes to difficulty. While you might be able to throw in countless credits at the press of a button, lose all your lives and it’s back to the very first level of a world you go. While it might not seem like much of a punishment, it can prove especially frustrating to be within reach of defeating a fourth level castle only to fall at the last hurdle and booted back again. And speaking of difficulty, Mario’s journey is much more unique this time around in that some levels have been rejigged from their original layout, moved around or outright replaced, upping the overall challenge significantly. In fact, a number of stages have been lifted from the infamously tough The Lost Levels, a game known for its fiendish level design. And what of the other changes? Remember the infinite lives trick achievable by repeatedly jumping on a Koopa Troopa at the right angle? That has been removed. Or perhaps minus world? Gone. As much fun as it was to play some classic Mario, it was equally motivating picking up on these changes and alterations. Just like the Switch version of Arcade Archives VS. Super Mario Bros., Hamster’s newest arcade effort too includes a number of settings to tweak. These allow you to customise how the game looks, be it the size or position of the screen itself or including scan and scrolling lines as well as choose your button layout. More interesting however are the gameplay specific options allowing you to slightly alter the experience to make it more difficult or easier. Upping your number of lives you receive with every continue, for example, makes for a useful little helpline especially when tackling some of the later worlds. And while we’re all familiar with the idea of one hundred coins nabbing you an extra life in a Mario game, adventurous players might want to raise the target. While you’re able to play Arcade Archives VS. Super Mario Bros. in its original form, Hamster has also included Hi Score and Caravan modes. The former limits you to just a single credit as you attempt to score the highest amount of points you can before exhausting all of your lifelines. Caravan mode meanwhile truly puts your platforming skills to the test as you again shoot for the highest score with just a five-minute time limit. There’s a surprising level of strategy involved in Caravan mode as you experiment with how to use your time best. Do you try to attack every enemy you come across? Or simply dash your way through as fast as possible? Or maybe gather as many gold coins and power-ups as possible? Whatever mode you play through, both are short and simple enough making them ideal when on the go and with the inclusion of online leaderboards, it’s easy to find yourself returning with the hope of besting yours and your competition’s best efforts. 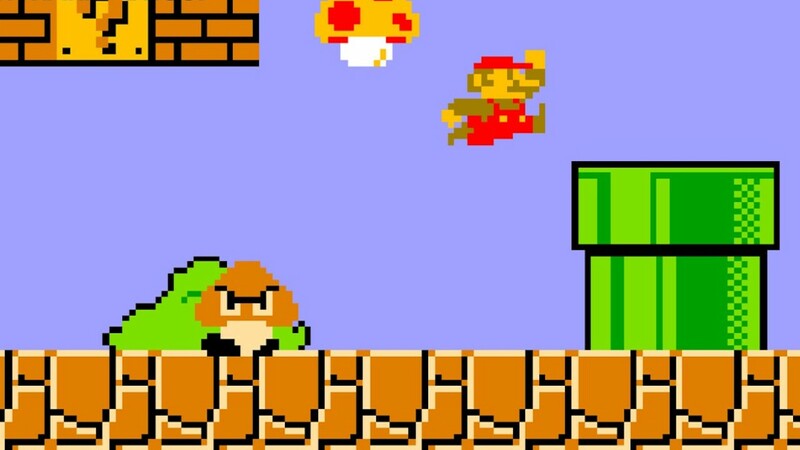 Arcade Archives VS. Super Mario Bros. is a rather interesting version of the much-beloved platformer thanks to its customisable options and unique line-up of levels. Veterans expecting something drastically different from this arcade adaption may leave disappointed but those seeking a chance to play some classic Mario on the go could do a lot worse.